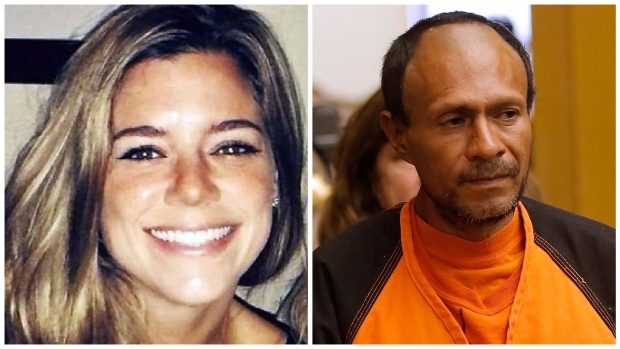 The killing of a 32-year-old woman that thrust San Francisco’s so-called sanctuary city policy into the national spotlight two years ago once again reignited the immigration debate Thursday when a jury found a Mexican man not guilty of murder. After 12 days of testimony, two days of closing arguments and roughly 28 hours of deliberations, a jury of six men and six women acquitted defendant Jose Ines Garcia Zarate of first- and second-degree murder and involuntary manslaughter, as well as assault with a semi-automatic weapon, in the fatal shooting of Kate Steinle. Garcia Zarate was found guilty of illegal firearms possession, which carries a sentence of 16 months to three years. "Today is vindication for the rights of immigrants," defense attorney Francisco Ugarte said. "Nothing about (Garcia Zarate's) ethnicity or immigration status was relevant in this case." 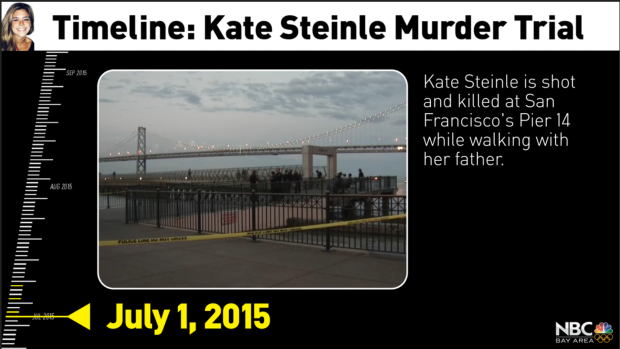 Here's a timeline of events leading up to final deliberations in the Kate Steinle murder trial that sparked a nationwide debate on immigration. After two years, the criminal case against a Mexican man accused of killing a woman on a crowded San Francisco pier came to a close. During the 2016 campaign, then-presidential candidate Donald Trump cited the case in his calls to toughen US immigration policies and build a wall. As president, he signed an executive order to cut federal funding from sanctuary cities, a move a federal judge in San Francisco blocked earlier this month. "I'm relieved," Public Defender Jeff Adachi said after the verdict reading, adding that evidence in the case played a big role in the not-guilty verdict. Adachi added that "there was a lot of misinformation and bad publicity," which could have kept Garcia Zarate from getting a fair trial. But, he said, the jury made sure he got one. 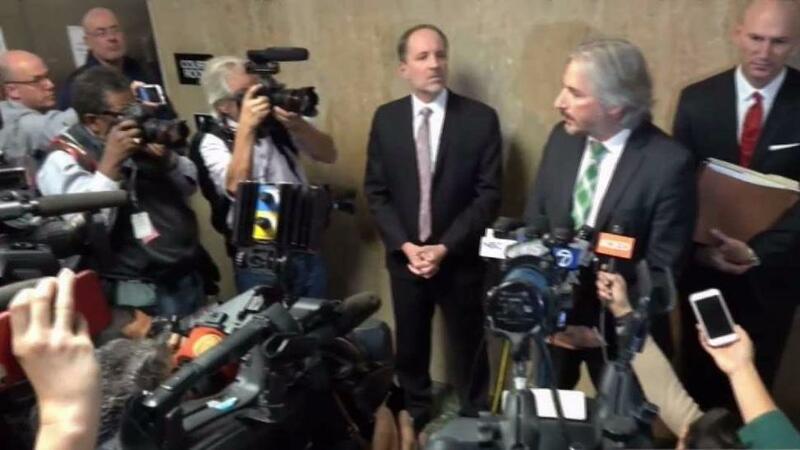 Defense attorney Matt Gonzalez said: "The verdict does not diminish in any way the awful tragedy" the Steinle family went through. Kate Steinle’s family was not present when the verdict was read out, but her father told The San Francisco Chronicle the family was saddened and shocked by the verdict. Jurors in the case did not comment after the verdict. Their names and addresses were sealed by the judge for their safety. Garcia Zarate's niece, who had shown up during the trial, was not present at the verdict reading. Prosecutors said the verdict was not what they had hoped for, but they respect the decision. "Both sides fought very hard," prosecutor Alex Bastian said. "This is really about the Steinle family." "Many people have criticized this case, including the attorney general of the U.S., the president and the vice president," said Gonzalez, the defense attorney. "Let me remind them that they're themselves under investigation by special prosecution in Washington, D.C."
San Francisco District Attorney's Office spokesperson Alex Bastian reacts to the verdict in the Kate Steinle murder trial. Friday morning Trump continued to use the verdict to push for tougher immigration laws, tweeting, "The Kate Steinle killer came back and back over the weakly protected Obama border, always committing crimes and being violent, and yet this info was not used in court." 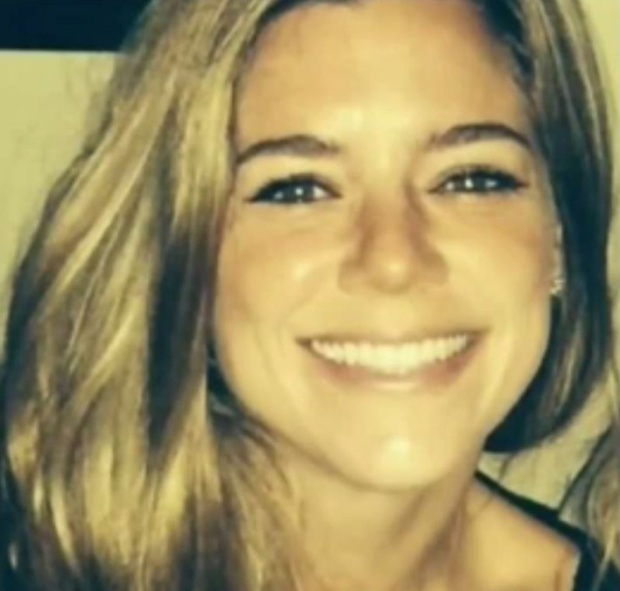 U.S. Attorney General Jeff Sessions also criticized the verdict in a statement, claiming San Francisco's decision to release Garcia Zarate "led to the preventable and heartbreaking death of Kate Steinle." "While the State of California sought a murder charge for the man who caused Ms. Steinle’s death — a man who would not have been on the streets of San Francisco if the city simply honored an ICE detainer — the people ultimately convicted him of felon in possession of a firearm," he said in a statement. "The Department of Justice will continue to ensure that all jurisdictions place the safety and security of their communities above the convenience of criminal alienss." The gun used in the shooting was stolen from a Bureau of Land Management Officer in San Francisco. Garcia Zarate's defense lawyers said he found it under his chair on Pier 14 wrapped in a T-shirt and accidentally fired it. Garcia Zarate, dressed in a blue striped shirt, used a headset for translation purposes in the courtroom. He sat with his defense team, which included Gonzalez and Ugarte, sipping water from a paper cup. He talked with his lawyers, who looked calm and focused. Adachi and the prosecution team were seated in the front row. After members of the media and the public who had won lottery seats were allowed inside Courtroom 13, court deputies asked everyone to turn off their cellphones until the verdict was read in its entirety and everyone was ushered out. At exactly 4:15 p.m., court was called in session. Judge Samuel Feng, wearing a tie in the red and gold colors of his alma mater, the University of Southern California, asked Garcia Zarate if he could hear the translator, to which the defendant uttered just one word: "Yes." Feng then asked the foreperson if the jury had reached a verdict in the case of People vs. Jose Garcia Zarate. A court deputy handed the verdict over to the judge, who carefully looked it over before handing it over to the court clerk, who read it out to pin-drop silence. Jury finds Jose Ines Garcia Zarate not guilty on all counts except felony possession of a weapon in the Kate Steinle murder trial. Sergio Quintana and Sam Brock report live from San Francisco Hall of Justice. Feng reminded the jury that they couldn’t discuss the case with anyone and would need to wait 90 days before accepting any form of payment in exchange for information. Feng, who court regulars describe as a "judge like no other," made a point to chat with reporters every day and even left out cookies for them in the hallway. His official take on the case was always, "No comment."